While technologies such as social media, mobile devices, analytics, cloud computing, robotics and artificial intelligence reshape the business landscape, “corporate business processes are still structured around 20th century management,” the CIO said today. “Take a look at the workforce in our enterprises today – we still predominately work five days a week, clock in at 9am and clock out at 5pm, and expect our customers to come to us,” Curran said in remarks prepared for a Trans-Tasman Business Circle event today. “One of the great conundrums of today is that we’ve got 21st technology smashing into 20th century business process and, to make it worse, those processes are still working under 19th century governance,” the CIO said. In response to digital disruption, organisations increasingly need to shift to agile ways of working that rely on a “flattened structure” and away from waterfall methodologies for project delivery. Westpac is increasingly using agile approaches in the workplace, Curran said. 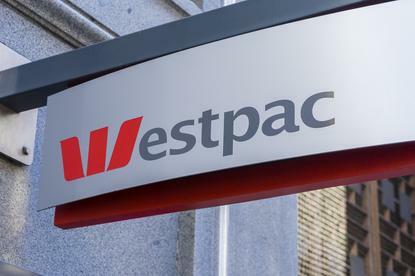 “Most of Westpac’s workforce are embracing flexible working, and agile practices are becoming the norm,” the CIO said. Forty per cent of his team in Australia already use agile methods for delivery, while in New Zealand the approach has been embraced across the bank’s entire technology team. A related problem is the centralised, hierarchical management structures that are often out of step with the pace of modern business. “This vertical operational structure works for a slow moving enterprise centric world, but in times of rapid change and customer centricity, we need to turn things sideways and start thinking horizontally,” Curran said. Organisations need to cut down on their traditional hierarchy and empower their employees, he said. Although the initiative positions the bank well in the market, more needs to be done, he added. The CIO said the final element for organisations seeking to match the pace of change is the development of a culture of continuous learning and reskilling within their workforce. In the past, organisations could hire staff and engage in a limited training through the occasional leadership course or PowerPoint presentation — and hire new staff when new needs emerged. “In a world of slow change, this worked,” the CIO said. “Although clearly [it] was not ideal for the worker and, over time, has become more costly and less efficient for the enterprise. The onus is on organisations to provide the tools that make this possible, he said. Westpac has created an online education portal dubbed LearningBank and a ‘technology university’ social learning platform dubbed TechU. “Employees can access the platforms via their computers, smart phones and tablets, anytime and anywhere,” Curran said. A second challenge, the Westpac executive said, is developing the motivation within the workforce to actually reskill and retrain. “The worst days of my working career are the days that people are made redundant while at the same time we’re hiring,” he said.